Decades ago, skylights became all the rage, but they weren't the most energy-efficient or lovely additions. The bubble lights from decades ago often leaked or built up condensation that made their light seem muddled. The flashing around the lights wasn't always the best, and that could lead to roof problems. Today's skylights, however, have surpassed their ancestors in terms of energy saved, comfort, and of course, style. The flashing is now much better, and the installation of skylights is not as difficult as it once was. 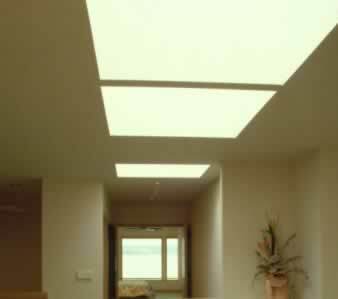 The style can now be built to your specifications, and with the addition of reflecting material, can enhance the natural sunlight that comes through the skylight. Modern skylights use double-pane and triple-pane technology and adhere to the same standards as the windows in your walls do. The energy savings are enhanced by the fact that you don't have to turn on the lights as often!